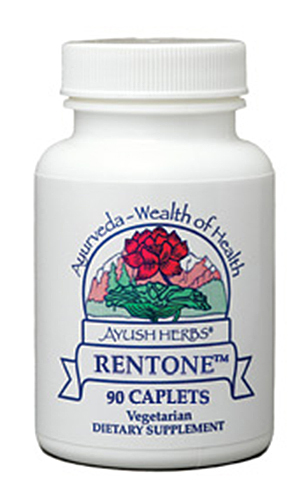 Ayush Herbs Rentone offers a unique combination of Eastern & Western herbs & other powerful nutrients that offer kidney and urinary support. 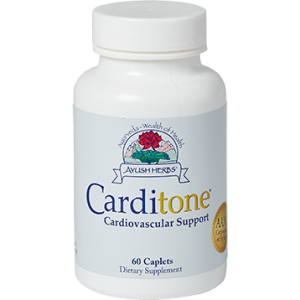 Also supports the immune system, the stomach, the bowels, and the urinary/genital system. Has diuretic properties. Didymocarpus pedicellata is an Ayurvedic herb also known as pathar phori. In Sanskrit, the name means “that which breaks stones.” Saxifraga ligulata has a similar meaning, “the plant which breaks rocks in order to grow” and also has astringent, laxative, diuretic, and lithotrophic properties, as does Tribulus terrestris. Ocimum sanctum (holy basil) is used here for its immune system supporting and diuretic actions. Shilajit is an asphaltum (mineral pitch) obtained in the Himalayan region of India and is considered a rasayana (adaptogen). Shilajit contains at least 85 minerals in ionic form and has been used traditionally for centuries for genitourinary and immune support, as well as for its aphrodisiac and purifying properties. Arctostaphylos uva-ursi is a European herb, the leaves of which contain 10% of the most active principles of arbutin, which splits into glucose and hydroquinone in the kidneys. Mimosa pudica (lajja, or lajwanti) is traditionally used for urinary support. Dolichos biflorus is also known as Kulatha beans, the seeds of which are astringent, diuretic, and tonifying, and have been used traditionally in support of renal and urinary bladder. Cyperus rotundus is a dried tuberous root known as soucher, which is known to have diuretic, diaphoretic, and astringent properties. It is traditionally used for stomach and bowel support. Crataeva religiosa, also known as varuna (three-leaved caper), contains saponins and tannins in its bark. In Ayurvedic medicine, varuna is used to support the muscles of the bladder. It also helps support a healthy inflammatory response within a normal range of the genitourinary system and has a diuretic effect. Achyranthus aspera (apamarg) is traditionally used as a diuretic and to normalize pH. Other Ingredients: Dicalcium phosphate, Stearic acid, Magnesium stearate and Silicon dioxide.